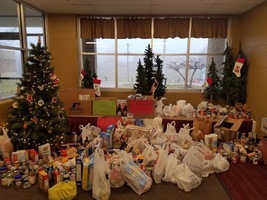 Davis County Elementary School One School… One Community… One Goal… The Best That We Can Be! Gravy with Grandparents April 24, 2019 7:15 a.m. Elementary Cafeteria Please call the elementary office if you have any questions! Hope to see you Wednesday! We have an artist visiting the elementary school on Tuesday, April 16! You can have your children listen to Mike Artell read a portion of the Petite Rouge book by going to his website or going to YouTube!www.mikeartell.comPlease call the elementary office if you have any questions! We are excited to have him come! 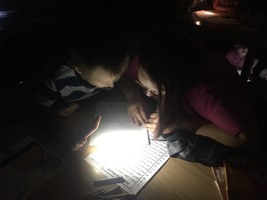 Attn Preschool Parents: Preschool Family Literacy Night is Tuesday, April 16, 2019. Please have your children to the Elementary Lobby by 5:45 p.m. so they can prepare for their performance! 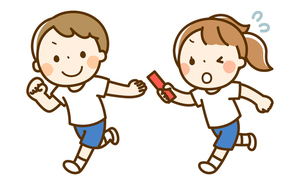 Each class will be participating and then all the children together will sing. Please call the Elementary School if you have any questions! Please remember that school will be in session on Thursday, April 18, 2019, as a make-up day for Spring break. There will NOT be school on Friday, April 19, 2019 and Monday April 22, 2019. Enjoy a long weekend!If you have any questions, please contact your building secretary. Attn Elementary Parents: If you are signing your student out early today (04-12-19), you will need to sign them out in their classrooms. 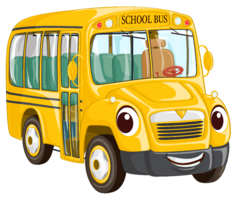 If your student normally rides a bus, please call the elementary office at 641-664-2200 ext 1146 and let us know so we can let our bus drivers know. Thanks! Please join your Preschool through 4th grade aged grandchildren for biscuits and gravy breakfast at the Elementary School cafeteria beginning at 7:15 a.m. on April 24th. 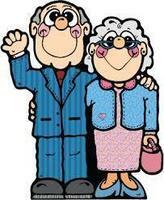 We are so looking forward to having grandparents in the building! 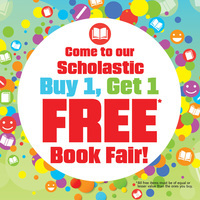 Our Buy One, Get One Free bookfair will also be going on in the library!Can't wait to see you April 24 at 7:15 a.m.!! Please join us tonight at 6:00 p.m. in the elementary library for our parents in education meeting! We need your involvement to help make our school great! 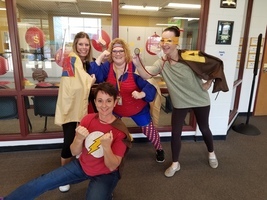 Here is a link to our Elementary April Newsletter which is full of information you need to know for this month!April 2019Please call the elementary office if you have any questions! Water Rocks Assembly - On April 5, 2019, our Elementary and Middle School students had a great time with our Water Rocks! Assembly. Water Rocks! helped our students learn the science of water quality through music with our rockin' Assemblies. Here is a link with more information: https://www.youtube.com/user/WaterRocksISU?feature=mhee. 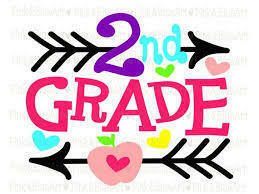 Attn Elementary Parents: Be on the look out for grade cards coming home Wednesday for elementary students. If you have any questions, please do not hesitate to contact your child's teacher or the Elementary Office. We are on the last nine weeks of school! Make them great! 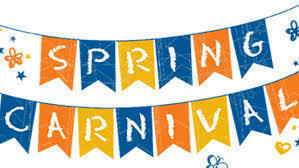 April 18 - Students WILL attend a FULL day! 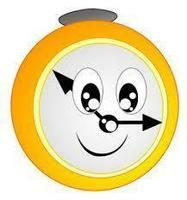 April 29 - Students WILL attend until 12:30 (Early Dismissal) The new last day of school is May 31. Students WILL attend until12:30 (Early Dismissal). If you have any questions, please call the school at 641-664-2200 and choose which building secretary you would like to speak with. 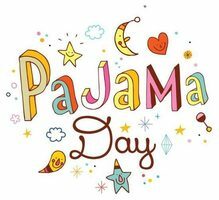 April 24th Beginning at 7:15 a.m. in the Elementary CafeteriaWe would love to have all our grandparents come and eat biscuits and gravy breakfast with their elementary grandkids on Wednesday, April 24, 2019, beginning at 7:15 a.m.! You can also check out our Buy One, Get One Free Book Fair going on in the library! Students will attend school on Monday, March 25, 2019, with an early dismissal time of 12:30 p.m. 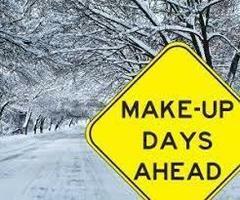 This will be a make up day for one of our snow days and was originally a non attendance day. Please call the office of your school building if you have any questions. Attn 2nd Grade parents: Please turn in the permission slips by at least Monday morning of March 11, 2019. The link that was provided to watch the program was incorrect. Below is the corrected link: Care for Kids Program Please call the elementary office if you have any questions. 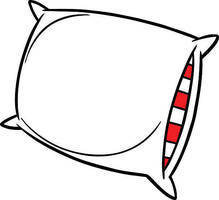 Attn 2nd Grade parents: Please turn in the permission slips by at least Monday morning of March 11, 2019. 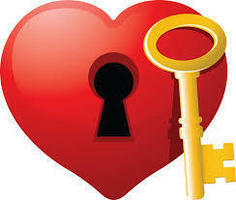 The link that was provided to watch the program was incorrect. Below is the corrected link:Care for Kids ProgramPlease call the elementary office if you have any questions. Please call the elementary office if you have any questions. 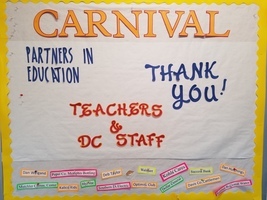 We want to take this opportunity to thank everyone who volunteered so much to make the elementary carnival a HUGE success. Thank you all for supporting our school! Thank you P.I.E. for putting on another wonderful carnival this year! Please consider joining the P.I.E. (Parents in Education) Group and getting involved in changing education for the better for our students! Davis County Community Schools will be closed on Monday, February 25th for professional development for staff. Please contact any of the building offices if you have any questions. Enjoy your long weekend! 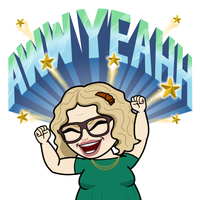 Attention all 4th Grade Parents: Below is a Link to a special presentation the 4th graders put together to show what you would have done at the 4th Grade family night. Please check it out!4th Grade Family Night (the link has been corrected) If you have any questions, please call the elementary office. The After Prom Committee is offering some Family Fun for everyone this weekend. 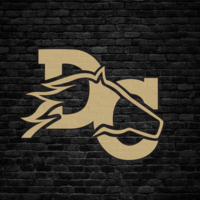 The last post had an incorrect link so hopefully this one will work better:Mother/Son & Daddy/DaughterIf you have any questions, please contact Natasha Schafer at 641-777-9673 or natasha.schafer@dcmustangs.com. The 4th Grade Family Night scheduled for Tuesday, February 19, 2019 has been canceled due to impending weather conditions. If you have any questions, please call the elementary office. 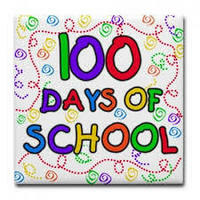 Wednesday, February 20, 2019 will be our 100th day of school! I apologize for giving incorrect information to a parent this morning. Please call the elementary office if you have any questions! What an awesome night we had on February 13th at Preschool Family Night! Here are some fun pictures from the evening's festivities which included activities from IPTV and a visit from Daniel the Tiger:Please do not hesitate to call the Elementary School if you have any questions! Davis County Community Schools will be closed on Monday, February 18, 2019 in celebration of President's Day. Please call any of the building offices if you have any questions. Enjoy your long weekend! Happy Valentine's Day! We know everyone is excited about the day of love but we will not be accepting any deliveries at the Elementary School today! Please make sure those are delivered to your homes! If you have any questions, you may call the Elementary office at 641-664-2200 ext. 1135. Let's try this again! Family Night Wednesday, February 13, 2019 At Wigwam Day Care Gym 5:15-6:15 pm Trista from IPTV will lead us in literacy activities and provide information about IPTV parent apps. We hope to see you there! Due to the school cancellation and weather conditions, the 4th Grade Family Night scheduled for Tuesday, February 12 has been cancelled. Please watch for a note home and information on the website and facebook about when it will be rescheduled. Preschool Family Night is on February 6, 2019 from 6:00 - 7:00 p.m. at WigWam Daycare. Trista from IPTV will be joining us! Please call your child's teacher or the elementary office if you have any questions. Because of weather conditions, we have decided to cancel the Kindergarten Family Night scheduled for tonight 1-29-19. Please stay home and stay warm with your families! A note will also come home with the kiddos once they pick a rescheduled date! Thank you for your understanding and cooperation. Beyond the Bell is canceled for after school today, Tuesday, January 29th. Please call the Elementary office if you have any questions. 3rd grade family night will be postponed. 3rd grade will not be having family night this Thursday, January 31. A note will com home once the date has been rescheduled. Please call the elementary office if you have any questions. Crazy 8's Math Club has been canceled for Tuesday, January 29, 2019. Please call the elementary office if you have any questions. 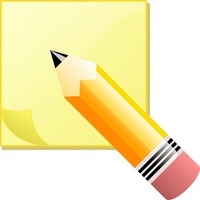 Here is a link to the weekly note going home:Redinbaugh/Ellis 1-25-19If you have any questions, please contact your child's teacher or the elementary office. Crazy 8's Math Club for after school has been canceled. Please call the elementary office if you have any questions. Davis County Community Schools will be closed on Monday, January 28, 2019 for a professional development day for staff. If you have any questions, please contact one of the building offices. Enjoy your long weekend! Because of weather conditions, we have decided to postpone Kindergarten Family Night to another date from tonight 1-29-19. Please stay home and enjoy staying in and warm with your families! A note will also come home with the kiddos tonight! Thank you for your understanding and cooperation. ELEMENTARY PARENTS: If you have a child that would normally attend Crazy 8's tonight after school, we are canceling tonight's club due to impending weather conditions and other district cancellations. If you have any questions, please call the elementary office at 641-664-2200. Thank you for your cooperation and support! Elementary Parents: The call you are receiving is to let you know that buses will be running on hard surfaces only tomorrow! The All Call service is voice activated so if you do not say Hello or pause for a little bit, you may not get the recording. As always, please call the office if you have any questions. 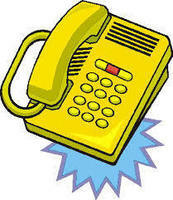 Elementary parents, please remember to call the office BEFORE 2:00 p.m. to make changes to your child's after school plans. You can reach the office by calling 641-664-2200 ext. 1146. You can also send a note to the office with your child. 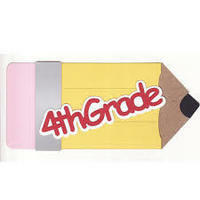 Please put your child's name, their teacher's name and your name on the note. Thank you for your help! 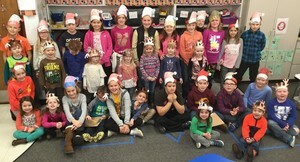 Here is a link to Mrs. Greiner's January Newsletter:Greiner - JanuaryPlease call the Elementary Office or Mrs. Greiner if you have any questions. 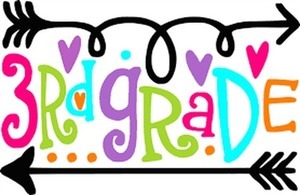 Here is a link to the Class News from Mrs. Redinbaugh and Mrs. Ellis:Ellis/Redinbaugh - Note 01/11/19If you have any questions, please call the elementary office or your child's teacher. 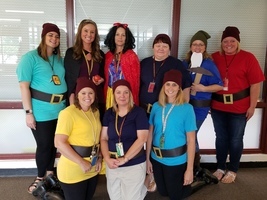 Here is a link to Mrs. Howard's weekly note:Mrs. Howard's Weekly Note 1-11-19Also some fun pictures:If you have any questions, please call the elementary office or your child's teacher! 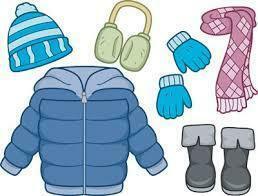 Mrs. Howard's Preschool Class will be snow sledding this Friday, January 18! Please make sure to dress your children for sledding when sending them to school or make sure they bring snow pants and snow boots, hats and gloves! If you have any questions, please contact the Elementary Office or your child's teacher.Happy Sledding! The next P.I.E. Meeting is scheduled for Thursday, January 10th beginning at 6:00 p.m. in the elementary library. All parents who are interested in helping to better the education of our students are asked to please attend! If you have any questions, please call the elementary office! Hope to see you there! Happy 2019 from Davis County Community Schools! We will see all your students at 8:00 a.m. on Thursday, January 3, 2019! Winter Break is coming! We have had some phone calls at the school so we just wanted to get the information out there that Davis County Community Schools will be in session all day on Friday, December 21, 2018. Students will return to school on Thursday, January 3, 2019. We wish our families the best holidays and new year! See you next year! Here is the weekly note home:Mrs. Miller's Weekly Note 12-14-18Please call the elementary office if you have any questions. Here is a link to the weekly note:Mrs. Redinbaugh & Mrs. Ellis 12-14-18Please call the office if you have any questions. Here is a link to the weekly note:Howard 12-14-18Please call the elementary office if you have any questions. 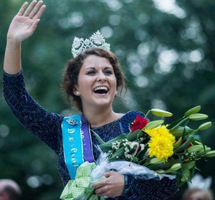 Hailey Swan, our very own Iowa State Fair Queen came to read to the preschoolers today at the elementary school and they loved it! Thanks Hailey!Please call the elementary office if you have any questions. The Elementary School is so proud of our teachers for making learning fun! Here are a few fun pics of some preschoolers:Please call the Elementary office if you have any questions or concerns. Another Winter Spirit Week photo. Just too cute not to share!Any questions or concerns, please do not hesitate to contact the Elementary office. Elementary's Winter Spirit Week has been so fun! Here are a few pics from Flannel Day! Just sharing some pics from Elementary's Santa's Workshop put on by P.I.E. on December 7, 2018:There will be more to come! Below is a link for the weekly note from Mrs. Miller's Preschool room:Miller Note 12-07-18Please call the elementary office if you have any questions. Here is a link to the parent note going home December 7:Redinbaugh/Ellis Note 12-07-18If you have any questions, please call the Elementary office. Elementary News: One of our 4th Grade classes helped write Santa Letters with one of our preschool classes! How fun! Way to go everyone! 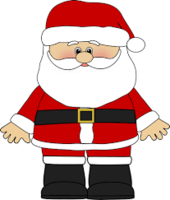 Here is the link to the note that should be going home today:Elementary NoteThis note includes information about Winter Concert, Santa's Workshop and a Winter Spirit Week for December 10-14! Happy Reading! If you have any questions, please call the elementary office. Here is a link to the weekly note:Redinbaugh/Ellis 11-30-18Happy Reading!! Preschool Parents: Here is a link to Mrs. Howard's weekly note: Mrs. Howard's Weekly Note. Please call the elementary office if you have any questions. 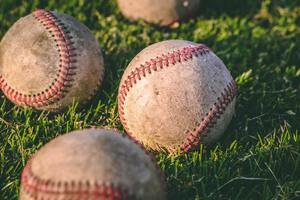 Here is a link about an Indian Hills baseball camp for ages 6 - 18 coming up in December: IHCC Baseball Camp This is not a Davis County Community Schools sponsored event and all information you need for this camp is available on the flyer. Thanks! The elementary kids are so excited to present their winter concerts to the community on Tuesday, December 4, 2018. Below is a link for the concert times: Winter Concert Times Please call the elementary office if you have any questions! We are thankful for our friends! Here is a weekly note that went home with Mrs. Redinbaugh's and Ms. Ellis' 3rd Grade classes:Redinbaugh/Ellis Note Home 11-16Please call the Elementary Office if you have any questions. Bob Stuchel from the Department of Natural Resources brought fur pelts for the Davis County Elementary School Preschoolers to see and examine last week! Thanks Bob! Here is the note home from Mrs. Miller's Preschool classes:Mrs. Miller's NoteIf you have any questions, please call the Elementary office. Here is the note sent home with Mrs. Howard's Preschool Students:Mrs. Howard's Note Home 11-16If you have any questions, please feel free to contact the Elementary Office. We had such a huge response for our Crazy 8's Club that we are going to run 4 different sessions. Here is a link to a form so you can let us know what your 1st and 2nd choice for dates would be:Crazy 8'sPlease fill out the form and send it to the Elementary Office by Friday, November 16, 2018! 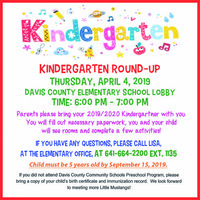 If you have any questions, please contact Lisa at the Elementary Office. Santa's Workshop sponsored by Elementary P.I.E. 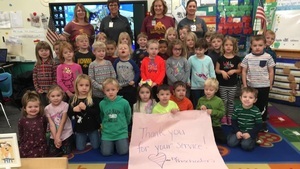 Mrs. Miller's Preschool Class has a very special message for all of our military both past and present! Here is a link to the 1st Grade's Field Trip to the Science Center:1st Grade Field Trip to Science CenterIf you have any questions, please feel free to call the Elementary Office. A note also went home last week with the kids! 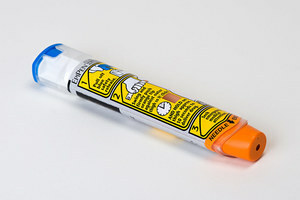 Here is a link from Nurse Angela regarding information on EPI Pens:FDA EPI Pen and EPI PenPlease read this information especially if your child carries or needs access to an EPI Pen. 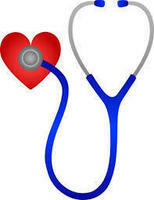 If you have any questions, you should contact your healthcare provider. 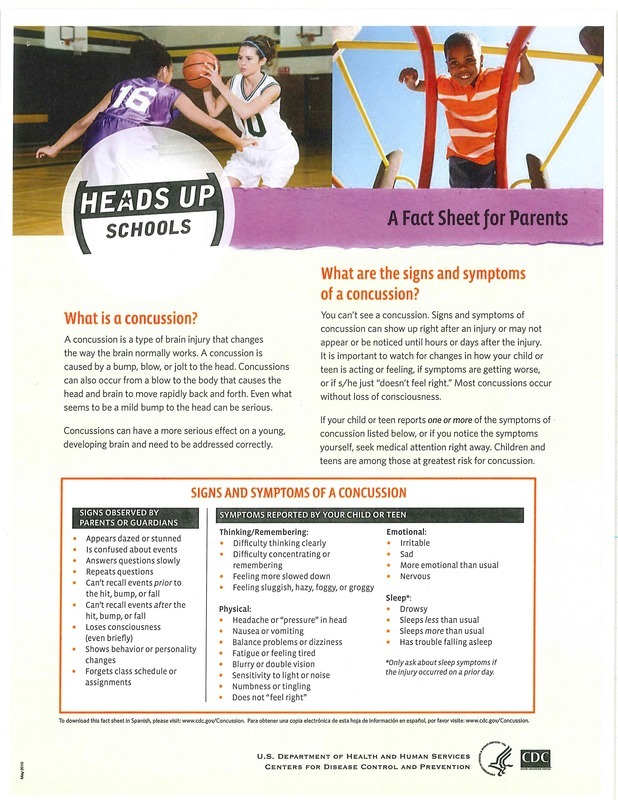 You may also contact the nurse by calling 641-664-2200 ext. 1120. Davis County Elementary School has candidates and voting going on all over the place here! Exercise your right to vote! Crazy 8's Club Above is your link to access a new club being started for Kindergarten through 2nd grade students! Flyers will be coming home soon! If you have any questions please call Holly Teubel at 641-664-2200 ext. 1325 or email her at holly.teubel@dcmustangs.com! 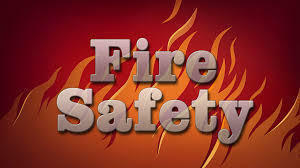 The Elementary students had a great day learning about fire safety from our local Bloomfield Fire Department. Thanks for teaching our kids and bringing the goodie bags! 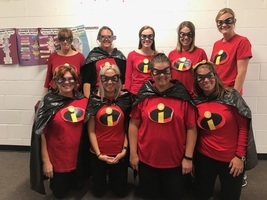 What a great family literacy night held on October 16 at the elementary school. Such a great way to engage with your children and encourage them to read! 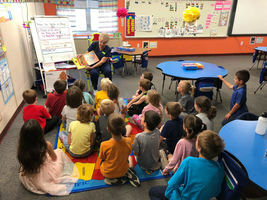 Adults from the Rotary Club come to read to the children in 1st Grade once a month! The kids love it and the classroom gets to add the book to its library! 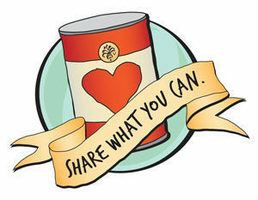 What a great idea from a community partner! COME CHECK OUT THE BOOK FAIR! Mickey's and Piglets and Pooh's Oh My! Saving the school one kid at a time! Elementary Homecoming Week was a HUGE success! The kids got pumped up to cheer on the mustangs. I am going to share a few pics on the newsfeed. IF you have not registered your child in PowerSchool, please please do so! Makes it so much harder to post pics when we don't have parental permission! Thanks! Elementary Homecoming Dress Up Days! Tuesday, September 25 - Disney Day! 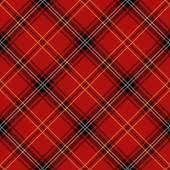 Wednesday, September 26 - Wacky Wednesday! (tye dye, crazy socks, crazy hats, mismatched) Thursday, September 27 - Super Hero Day! Friday, September 28 - Mustang Pride Day!